Are you on the Keto? Do you have a pressure cooker? Do you want to combine both Ketogenic Diet and pressure cooker impressing your family and friends with easy and healthy recipes? Look no further than this cookbook, where you’ll find nutritious, flavorful, low carb recipes for rapid weight loss. 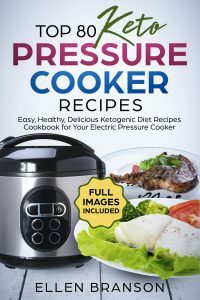 Top 80 new keto recipes for your pressure cooker!